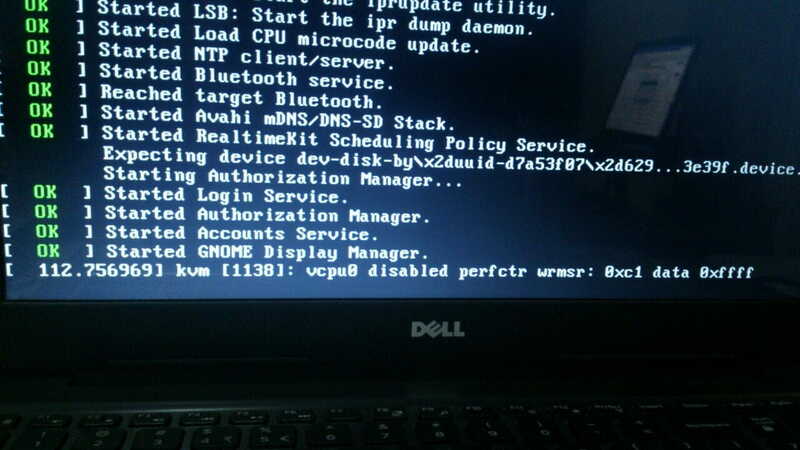 i have used bootable redhat 7 when i plug it to the dell inspiron 5559 laptop it getting stuck how can i solve this problem i thin it is happen in virtualization process. please help me below image shows the error. It looks like maybe your virtual (or Real) environment might have a keyboard/video/monitor problem. Do you have this running on a physical machine with a keyboard, or a virtual one that you are building in remote? You build either is looking for the KVM device, or you have one, and the load doesn't have the correct drivers unpacked. Im running this on a dell inspiron 5559 laptop. 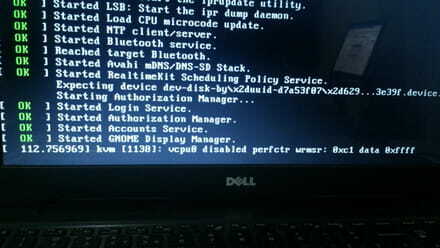 I have boot portable hard to my laptop and the portable hard is installed with redhat 7. this error occurs when it boot. The linux doesnt have the drivers needed for that laptop hardware. You are going to have to Side load the drivers after you find them! But im not using the laptop hard. im using portable hard for booting. how do i side load the drivers.